How Brett Kavanaugh could reshape environmental law from the Supreme Court. 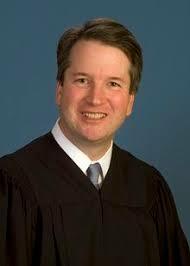 Long before President Trump nominated him for the Supreme Court Judge Brett M. Kavanaugh had already made a name for himself as an influential conservative critic of sweeping environmental regulations according to a July 10, 2018 New York Times report. During his 12 years on the United States Court of Appeals for the District of Columbia Circuit, often regarded as the nation’s second-most powerful court, Judge Kavanaugh voted in a number of high-profile cases to limit Environmental Protection Agency (EPA) rules involving issues like climate change and air pollution. In two key instances, his arguments were later embraced by the Supreme Court. His legal philosophy was clear: In the absence of explicit instructions from Congress, any far-reaching effort by the EPA to tackle environmental problems should be met with deep skepticism by the courts. That philosophy often put him sharply at odds with the Obama administration, which sought to harness older environmental laws to deal with newer challenges like global warming. The differences between Judge Kavanaugh and Justice Kennedy who is retiring are particularly visible on climate policy. In 2007, Justice Kennedy voted with the Supreme Court’s four-member liberal wing in Massachusetts v. Environmental Protection Agency, giving the EPA the authority under the Clean Air Act to regulate the greenhouse gases that cause global warming. Congress had originally crafted that clean air law in the 1970s, before climate change had emerged as a major policy concern. But the Supreme Court ruled that greenhouse gases fit within the act’s “capacious definition of ‘air pollutant.’” In other words, the law was flexible enough to deal with problems that lawmakers hadn’t specifically anticipated at the time. In subsequent cases, Judge Kavanaugh frequently resisted this line of thinking. In one 2012 case, a District of Columbia Circuit Court panel upheld a handful of early Obama-era greenhouse gas regulations. But Judge Kavanaugh vigorously dissented from the majority, arguing that the EPA had “exceeded its statutory authority” and lacked explicit guidance from Congress. “The task of dealing with global warming is urgent and important,” he wrote. But, he added, “As a court it is not our job to make policy choices,” and he went on to note that “EPA went well beyond what Congress authorized” in crafting a greenhouse gas permitting program. His reasoning ultimately persuaded the Supreme Court’s conservative justices, who later overruled the lower court and voted 5-4 to strike down parts of the EPA’s permitting program that Judge Kavanaugh found troubling. In other cases, however, Judge Kavanaugh went even further than the Supreme Court’s conservative wing was willing to go. In E.M.E. Homer City Generation v. Environmental Protection Agency, he wrote a majority opinion for the D.C. Circuit Court striking down a federal program to regulate air pollution that crossed state boundaries. The Supreme Court later took up the case and overruled him 6-2, with Justice Kennedy and Chief Justice John G. Roberts Jr. voting to uphold the pollution rule. Judge Kavanagh’s legal philosophy regarding environmental regulations is clear: In the absence of explicit instructions from Congress, any far-reaching effort by the EPA to tackle environmental problems should be met with deep skepticism by the courts. In effect, his approach to environmental law would make it harder to address current problems so long as Congress remains out of the lawmaking business.